Often it is seen that many people eat eggs but they drop its middle part. 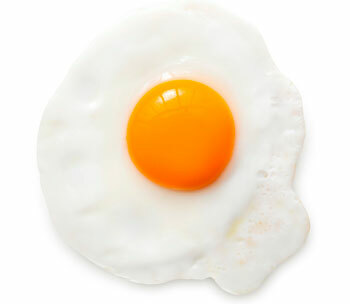 People believe that eating yolk increase their weight. Egg white is healthy but the middle portion of eggs is also healthy. You lose a lot of nutrition when you leave inside the egg white part. - Dieter’s advice to eat egg white because it has less cholesterol. We can get many nutritious supplement and that too without increasing weight. - Egg yolk contains calories and cholesterol which is considered very good in terms of health. Many people do not eat it because they are unaware of this nutrition. - If you want to increase you good cholesterol level and stay away from heart disease then you should eat yellow part of eggs occasionally. - Good cholesterol i.e. HDL increases but LDL i.e. bad cholesterol remains the same. - Calcium, iron, zinc, phosphorus, thymine, vitamin B6, folic, vitamin B12 and will pantothenic acid are high in yellow part compared to white part. - Yellow part contains unsaturated fat which is very good for the heart patient. It controls blood sugar levels and cholesterol. - The egg is very good for health and it has plenty of nutrition. If you want a healthy and fit body then you must include egg in your diet. If you do not like the yellow part then you should eat three times in a week.